Perfect as an add-on to a VIP Wales package, or as a one-off experience for anyone who’s visiting Pembrokeshire (or lives here). Choose from our select list of VIP experiences, or let your imagination run wild and set us a challenge. We love to put our local expertise to good use by planning the perfect surprise. Tea at the top – Make your way to the top of Carningli, the Mount of Angels, and be rewarded with an afternoon tea perfectly presented by one of our team. 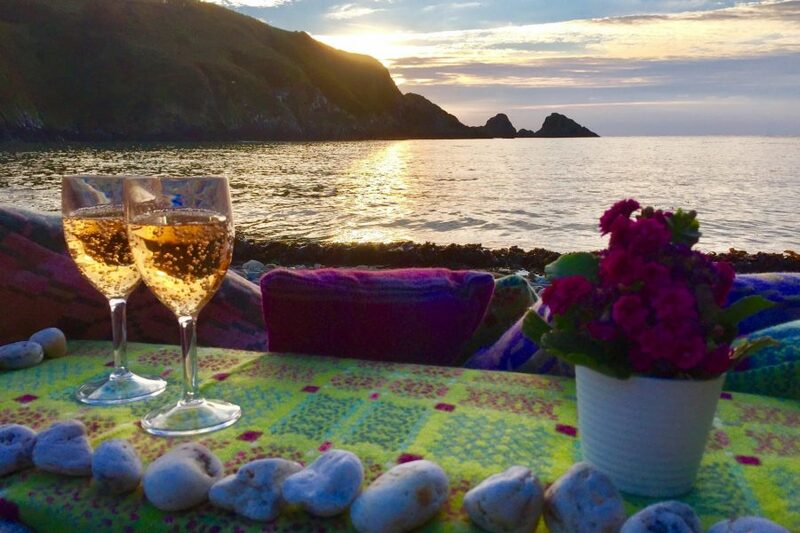 Bubbles on the beach – Walk along the Coast Path and to a tranquil beach to enjoy a locally-sourced hamper picnic and your choice of bubbles. And don’t forget to ask us about transport to and from your VIP Experience location. We can handle transfers, so your day is completely hassle-free. If you would like to book a VIP Experience, please call us today on 07496 057269 or complete an enquiry form by clicking here. We will reply with a tailor made itinerary just for you.